It is good to look forward to the arrival of Spring later this month. The weather has presented us with some challenges recently and we appreciate your understanding and cooperation. March also brings with it the beginning of Lent and we will come together as a faith community on Ash Wednesday for a prayer service and distribution of ashes. All students will be offered the opportunity to receive the Sacrament of Reconciliation on Monday April 1st here at school. I would also like to remind everyone that we continue to gather each Thursday morning at 7:15AM for Mass in the Kelleher Hall chapel. Mass intention cards are available from Mrs. Sylvester in the Campus ministry office. As mentioned in my letter last month, our AHA Board of Trustees along with the administrative team and board committee members met in February and drafted our Strategic Plan “Legacy of Excellence”. This document will provide direction for our school community through 2023 in the areas of academic programs, mission and Catholic identity, advancement and finances, facilities, and marketing and enrollment strategies. The board plans to review and approve the document in April. I am grateful to all the participants in this process and look forward to working with everyone to bring this plan to fruition. On Friday evening March 22nd we will gather at the Edgewood Country Club in River Vale for our Angelic Evening celebration. We look forward to celebrating with our alumnae honorees, Patti McGovern Hill ’78 and Colleen Corbett Staff ’89. The new venue is beautiful and a sell-out crowd is expected. I look forward to seeing you there. Please contact Barbara Burklund in our events office for ticket information. All the proceeds from the evening will benefit the plans for our auditorium renovation. Our “Take-A-Seat” initiative will be debuting that evening. More details about this opportunity to purchase seating in the auditorium will be available following Angelic Evening. As we journey through this Lenten season together, let us reflect on the words of our foundress Blessed Theresa Gerhardinger, “Follow the star which has arisen in you; it will certainly lead you to Jesus.” Be assured you will be in my prayer intentions during Lent. Our celebration of Catholic Schools Week will begin with Mass celebrated by Bishop John Flesey on Monday February 3rd. We also look forward to welcoming our families during the open house visiting hours posted on our website. This week is a time to honor all the good work that occurs every week at Holy Angels. I want to thank our administration, faculty and staff for all they do to offer our students a safe, nurturing and challenging learning environment. We’ve been busy welcoming the newest members of our school community, the Class of 2023. We look forward to partnering with our newest Angels and their families as they receive their wings. Registrations are due by February 9th and our admissions staff are available to help with the registration process. Our Board of Trustees will gather this month for their strategic planning retreat. The board will be coming together to create a document that will set goals and direction for AHA for the next several years. I look forward to sharing the results of their work with you. Plans are underway for this year’s Angelic Evening program to be held on Friday March 22nd at the Edgewood Country Club in River Vale. This year we are honoring two of our alumnae, Patti McGovern Hill ’78 and Colleen Corbett Staff ’89 for their fidelity and service to AHA. Proceeds from the evening will benefit our auditorium renovations. Information about tickets, ad journal and sponsorship opportunities are available on our website. I hope to see you there! Happy New Year! Welcome back as we begin a new year filled with great hope and promise here at Holy Angels. I hope that the Christmas holidays were a time of celebration and the opportunity to rest and share time with family and friends. As we welcome everyone back to school, we continue our celebration of the Christmas season with our Epiphany liturgy on January 4th. Later that day we look forward to welcoming our College Angels back to campus. Registration for this alumnae event is available on our website. The newest members of our AHA community, the Class of 2023, will receive notification of their acceptances on January 11, 2019. Accepted students and their families are invited to join us on the evening of Monday, January 28, 2019, for our Class of 2023 Reception. Our administration, faculty and students will all be on hand to share information about the registration process and answer any questions you may have about the Academy of the Holy Angels. Since September, we have been blessed to celebrate weekly mass here on campus in the Chapel in Kelleher Hall. Beginning in January, the weekly mass will be held on Thursday mornings at 7:15 AM. I am very grateful to our campus ministry department for organizing these liturgies for us and mass intentions are available from Mrs. Kathy Sylvester. Looking ahead to Catholic Schools week next month, Bishop Flesey will visit us on February 4th to celebrate mass with our students. Our foundress Blessed Theresa wrote in Trust and Dare on January 1st, “The future, which begins with this New Year’s Day, is shrouded in as dense and mysterious a fog as is nature these days. Through it, only one star gleams for us- the infinitely wise and gracious providence of God.” May the coming year be a time for each of us to find that star and receive His divine providence and comfort. Wishing you the blessings of good health, peace and happiness in the coming year. Last month’s surprise snowstorm brought us our first taste of winter. Now with the arrival of Advent, the calendar is filled with the spirit of the season. Students will gather for our Advent prayer service and blessing of the Christmas tree here at school. I hope you plan to join us for our Christmas Concert on Friday, December 7th. I am always grateful to spend an evening enjoying the beautiful music of Christmas performed by our student choral members and musicians. We also look forward to presenting our Junior class with their school rings on Thursday, December 13th. On Sunday, December 16th we will welcome many of our alumnae athletes back to AHA when we dedicate “Lid’s Court” in honor of AHA coach and teacher, Sue Liddy. The admissions season is well underway and we have enjoyed welcoming so many prospective families and all our Angel-for-a-Day visitors this fall. Applications for the Class of 2023 are being processed and we look forward to mailing our decision letters in January. If you have any questions about the application process, please contact our admissions team. Our foundress, Blessed Theresa Gerhardinger wrote, “Go to school to Jesus and learn from him, not to create worlds or work miracles but to become humble and gentle.” Let us pray that this will be our “best practice” during this beautiful season of love. Our faculty and staff will gather for our annual retreat day on the Feast of All Saints. The day will begin with Mass in our beautiful chapel here in Kelleher Hall where we will be praying for the intentions of all our AHA alumnae both living and deceased. The chapel has also become the site of weekly Masses offered on Wednesday mornings at 7:15AM for interested faculty, staff and students. Mass intention cards are available from Kathy Sylvester in our Campus Ministry office. We have several important and fun events on our calendar this month. Our annual PAA Beefsteak is set for Saturday evening November 3rd. I hope you will join us as we honor two of our alumnae athletes, Jessica O’Neil Leto, ’02 and Christie Fredericks, ’09 and welcome them into the AHA Hall of Fame. The beefsteak is a wonderful opportunity to share fellowship, enjoy the food and win some amazing prizes. I’ve invited my family and friends to join us that evening and I hope you will do the same. AHA’s fall drama, “Peter and the Starcatcher,” will be performed on the weekend of November 9-11. The students and Mrs. Collins have been hard at work to prepare for this show and I’m sure we are in for a wonderful evening of theater. Tickets are available via our website box office. I look forward to our Alumnae Mother-Daughter Tea on Sunday November 11th and our first ever Alumnae Sip and Shop event on Wednesday November 14th. Please check out both events on our website or contact the alumnae office. We are hosting two very important Admissions events this month. The first is our Admissions Information Night for prospective families on Wednesday November 7th. On Thursday November 8th, we have our Angel for a Day Showcase Day for prospective students. Information about both of these can be found on the admissions page of our website. October is a month filled with many milestones for all of us. On October 2nd we celebrate our feast day and our school’s 139th birthday! Holy Angels has certainly traveled a long way from its founding in Fort Lee in 1879, when Sister Nonna Dunphy and a small group of School Sisters founded the first Catholic college preparatory school for women in Bergen County. The move to Demarest in 1965, along with the expansion of our student body and our course offerings, are all signs of our school’s progress. Yet the mission and vision of the SSND’s to transform our world through education remains as strong and current today as at our school’s inception and that is what we celebrate today. On October 2nd, you will have an opportunity to participate in our annual Giving Day as we join together to raise funds for a new curtain as part of our plans to renovate the school auditorium. Please visit our website to participate and for more information please contact our advancement office. Thank you for your support! You can also learn more about our future plans for the campus and school programs by joining us at our town hall meeting on Wednesday, October 3rd at 7PM in the Learning Commons at school. We are hosting our first Open House of the year for incoming students and their families on Sunday, October 14th from 1-4PM. You can ALL be Angel Ambassadors and invite your friends and neighbors to come and learn about the advantages of a Holy Angels education. Registration is available for our Open House and our Angel for a Day visits on our website. This year the School Sisters of Notre Dame celebrate their 185th anniversary. In 1833, Caroline Gerhardinger took the religious name of Mary Theresa of Jesus and established the congregation of the SSND’s, grounding the community in poverty and dedicating it to the Blessed Virgin Mary. So it seems fitting that our Alumnae Reunion Weekend will begin with our Foundation Day program on October 19th. This year we are delighted to welcome the chair of our Board of Trustees, Sister Sharon Slear SSND, as our keynote speaker. Sister Sharon will be sharing her experiences working with teachers in Haiti with our student body and visitors. This year’s Alumnae Reunion will be held on Saturday, October 20th. Alumnae are invited to join us as we honor Elyse Deublein Harney ’48 with a Lifetime Achievement Award and induct Barbara Smith Costigan '68 into our Athletic Hall of Fame and Meaghan Fennessy Keeley '83 into our Arts Hall of Fame. On Saturday, October 27th, I am looking forward to traveling with Dorrie Voulgaris to Washington, D.C. for our DC Angels Event to be held in Georgetown. Details for all of our alumnae events can be found by visiting the alumnae page of our website. I hope you will join us for our annual Beefsteak Dinner and Athletics Hall of Fame to be held on Saturday, November 3rd when we will welcome Jessica O'Neill Leto '02 and Christie Fredericks '09 into the AHA Athletic Hall of Fame. The Beefsteak is always a fun evening and a great way to meet other parents all while supporting programs at our school. As I mentioned in last month’s letter, our Angelic Evening 2019 will be held on Friday, March 22nd at the Edgewood Country Club in River Vale. This year we are honoring two members of our AHA community, Patti McGovern Hill ’78 will receive the Distinguished Alumna Award and Colleen Corbett Staff ‘89 will be presented with AHA’s Legacy Award. Plans are already well underway for this very special event, please join us for the kick off meeting on October 11. I hope you will consider supporting this important fundraiser for our school. Please visit Angelic Evening 2019 for more information. “May Jesus deliver you from all harm; may He be the way you walk, the truth you follow, the life you lead. Welcome back! I hope the summer was a time of rest and rejuvenation for everyone and I look forward to seeing you here on campus. We are delighted to welcome the Class of 2022 and their families to Holy Angels and pray their high school years will bring them much happiness and success. Please join me in congratulating our principal Jean Miller who was married in August. We wish Jean and her husband Keith many blessings! The coming school year offers great promise and opportunity for our school community. We are excited to embark on phase two of our “Legacy of Excellence” campaign as we work towards renovation of our school auditorium and music wing. These enhancements will provide all students with updated facilities for school assemblies and programs, liturgies and prayer services and performing arts productions. This campaign’s success will require the participation of all of our AHA stakeholders- current families, alumnae, past parents and loyal supporters. It will give each of us the chance to make a positive contribution to our school’s future and allow us to grow closer as a community while working together towards a common goal. I hope you will join us for one of our town hall meetings to be held on Saturday September 22nd at 4:00PM or Wednesday October 3rd at 7:30PM in the student commons so you can learn more about the future plans for our school campus. Please be sure to Save the Date for our important annual fundraiser Angelic Evening 2019. This year’s celebration will be held on Friday March 22, 2019, at the Edgewood Country Club in River Vale. I will be sharing more details about the evening’s program in my October letter. Our first priority as school administrators is to provide our students with a secure campus and safe learning environment where all members of our community feel respected. Here at Holy Angels, we continuously monitor our security programs including regulations regarding background checks and safety drills. We maintain a collaborative partnership with local law enforcement. Our faculty and staff receive ongoing training regarding best practices in school security. Our theme for the coming school year is “Love gives everything” taken from the words of our foundress Blessed Theresa Gerhardinger. As we partner together in the coming school year, I hope we will all grow in community, unity and love. Every school year is unique, presenting each of us with its share of achievements and challenges. As we reach the close of this year, I am reminded of the following words from Blessed Theresa Gerhardinger, “All the works of God proceed slowly and in pain, but then their roots are the sturdier and their flowering the lovelier.” We began the year with the opening and dedication of Kelleher Hall. These beautiful spaces along with the new STREAM lab provide our students with state-of-the-art equipment and facilities as we strive to provide our young women with the most current and innovative programs of study. This year has presented all of us with the sobering reality of the importance of effective and consistent school security practices. Earlier this year, we engaged an independent security firm to complete an audit of our policies and procedures here at AHA. We were pleased to receive a high rating from them as the security of our school community remains our first priority. Thank you for your support and cooperation as we work to provide a secure learning environment for all. The winter storms disrupted our schedules and stretched our patience this year as we struggled to reschedule tests and games and programs. Yet we have managed to reach the close of the school year with exemplary performances by our students in academics, the arts and athletics. They have accomplished all of this while completing an extraordinary amount of service hours for our local and global communities. I am pleased to share with you that earlier this year, Holy Angels completed the application process with the New Jersey Association of Independent Schools culminating with an onsite visit by NJAIS in April. Recently, Ms. Mullooly and I received notification from the NJAIS that our application was approved. I look forward to the opportunities this membership will offer our faculty and students. Last week, we said farewell to our beloved teacher, colleague and alumna, Mrs. Karen Camporeale. This has been a very difficult time for all of us and we are grateful for your support and prayers. We congratulate our newest alumnae, the Class of 2018 and wish them many blessings. Recently we welcomed the Class of 2022 to campus along with their families and look forward to seeing them in September. I hope the summer break will bring us all time for rest and relaxation with our families and friends. Have a safe and happy vacation. See you in September. As we approach the end of the school year, the month of May promises to be filled with many of the traditions we enjoy here at Holy Angels. On May 1st, we will gather for the annual Mother-Daughter Fashion Show and celebrate our Seniors and their moms. On May 15th is our AHA Alumnae Mothers dinner, an opportunity for our AHA alumnae who are also the mothers of Angels to enjoy an evening together. The Arts Appreciation Dinner will be held on May 21st as we honor the accomplishments of all our Angel artists and performers. On May 23rd, we look forward to welcoming the Class of 2022 and their families with a barbeque dinner here at school. Details for all of these events can be found on our school website. Congratulations to the Class of 2018! We look forward to celebrating with our Seniors and their families at the Baccalaureate Mass to be held here at school on Wednesday, May 30th at 7:00PM. Diplomas will be conferred at our Commencement exercises on Thursday, May 31st at 7:00PM at the Bergen Performing Arts Center. Details for graduation events are available at https://www.holyangels.org/graduation. We are very proud of the accomplishments of our graduating class and welcome our newest Angel Alumnae. Remember that you will always have a home here at AHA. As you take with you the many experiences from your high school years, I pray you will also take time to remember the success of perseverance, the pleasure of working, the value of time, the worth of character and the power of kindness. May God bless you always. Our foundress, Blessed Theresa wrote, “Where there is peace, there is God; where God, there is every good.” Be assured that here at Holy Angels we remain committed to her vision and that of the School Sisters of Notre Dame to transform our world through education and work to promote peace in our community and in our world. Happy Easter! In the words of our foundress Blessed Theresa Gerhardinger, “May the peace and grace of the Lord be with us all.” (Trust & Dare, April 17th) On April 12th, we will celebrate our Easter liturgy and welcome the grandparents of our freshmen and junior classes. Grandparents’ Day is always one of my favorite events here at Holy Angels and I look forward to sharing this special day with our families. Just before the break, we enjoyed Angelic Evening and began our efforts to raise funds for our auditorium renovation. Many thanks to the many members of our school community and beyond who worked so hard to make this evening a success! Let us hope that April will mean the end of snowstorms! The last month has proven to be very challenging for all of us with snow days and delays and I thank everyone for their patience and cooperation. The decision to close school is never an easy one but it is always made with the safety of our school community in mind. The month of April and the arrival of Spring, is a busy one for us at AHA. Once we return from our Easter break, our calendar includes Grandparents’ Day (April 12th), Alumnae Tea (April 15th), Spring Open House (April 18th), AITA Food Truck (April 22nd) and our Spring Concert (April 27th). Details for these and all school events can be found on our website. Spring is also the season of college acceptances and I congratulate our Class of 2018 on their impressive accomplishments. Congratulations are due to the AHA College Counseling Office and to our faculty as well! As school security concerns remain in the forefront of our minds and the news, I am writing to provide you with an update of the security audit completed earlier this year. We contracted with the security firm of ASSA ABLOY to conduct an independent audit of our security policies and practices and an evaluation of our entire campus here at Holy Angels. The results of the audit were shared with the school administration and AHA board of trustees. We received a very positive report and high grade from ASSA ABLOY. The report also included recommendations for enhancing our security and we have begun to implement these as part of our ongoing efforts to monitor and improve our campus security. Every member of our school community plays a key role in maintaining a safe school environment. The students, faculty and staff participate in drills and our safety procedures are reviewed regularly. There are two areas where we are asking for your cooperation. First, please be sure to follow our visitor protocols when arriving on campus for a meeting, appointment or to pick up your daughters. Second, please follow the drop-off/pick-up procedures as directed by our administration and staff. All students should be dropped off and picked up in the back of the main school building to allow for safe passage of the school buses in the front of the school. On Friday March 23rd, we will gather as a school community to celebrate with an Angelic Evening at the Palisadium in Cliffside Park. Invitations have been mailed and information is available on our school website for this important school fundraiser. The proceeds from this year’s event will be used towards improvements to our school auditorium. 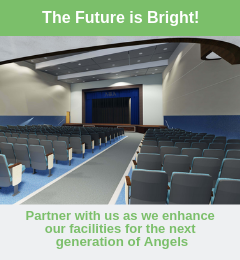 Our goal is to provide all our students with an enhanced and beautiful space for school liturgies and gatherings and to provide updated lighting and sound equipment for our performing arts programs along with comfortable seating for our audiences. Our advancement office and parent volunteers have been hard at work to arrange a wonderful evening for us and I look forward to seeing you there. Catholic Schools Week was an opportunity to welcome many visitors here to AHA. It was a pleasure to have many of our parents visit our school and our classes. Pope Francis has said of Catholic School teachers, “Let us thank all those who teach in Catholic schools. Educating is an act of love, it is like giving life.” We are grateful to all our faculty and staff for their service to Catholic education and for all the ways they give life to us at Holy Angels. A highlight of our Catholic Schools week celebrations was Cardinal Joseph Tobin’s visit to our campus. Cardinal Tobin toured our classes and celebrated Mass for our school community. In his homily, he reminded us of our connectedness to one another and to those in our world who are in need. He commended our students for their service especially for the people of Haiti and Puerto Rico. The Cardinal concluded his visit by granting a Bishop’s holiday for us on March 28th as he proclaimed that “Angels fly higher!” We enjoyed Cardinal Tobin’s visit very much and hope he will return again soon. We have also been very busy welcoming our incoming freshmen class, the Class of 2022, as they register here at AHA. We look forward to partnering with our newest Angels and their families as they receive their wings and learn how women leaders start here. Our admissions staff are available to help with the registration process. Plans are well underway for our annual Angelic Evening program to be held on Friday March 23rd at the Palisadium in Cliffside Park. There are many ways to support this event including ads, sponsorships and our new Angelic Wings Raffle. All information for this event can be found on our website at Angelic Evening 2018. In January, Ms. Mullooly, Mrs. Tambone-Puzio and I attended the annual leadership meeting with the SSND Atlantic Midwest Province. At this meeting, we learned about the new directional statement from the recent General Chapter of the School Sisters of Notre Dame, “Love gives everything.” Blessed Theresa wrote, “Love gives everything gladly, everything again and again, daily.” We believe this spirit of generous service is a hallmark of a Holy Angels education and are proud of the many ways that our students are living their faith. May we follow the example of the School Sisters to trust that all will be well as we dare to do what is needed and respond to the needs of our world. Happy New Year! I hope you and your families enjoyed the Christmas holidays. As we welcome everyone back to school, we will continue our celebration of Christmas with our Epiphany liturgy. On January 5th, our College Angels are invited to back to campus. The day’s program includes lunch, visiting with faculty and a chance to see the new spaces in Kelleher Hall and the STREAM lab. Registration is available on our website. Acceptance letters will be going out for members of the Class of 2022 in mid-January and we invite our accepted students and their families to join us on the evening of Monday, January 22th for our Class of 2022 Reception. Administration, faculty and students will all be on hand to share information about the registration process and answer any questions you may have about AHA. Catholic Schools Week begins January 29th. We are very excited to share that Cardinal Joseph Tobin, archbishop of Newark, will be visiting Holy Angels to celebrate Mass for Catholic Schools Week. It will be the Cardinal’s first visit to our school and we look forward to welcoming him here on February 1st. May we be blessed this year with peace, hope and joy. We begin this beautiful season of Advent with a prayer service here at Holy Angels and our intentions are for peace in our hearts, our homes and our world. Our school community has been working very hard to share peace and love with the people of Puerto Rico through their many fundraising efforts and drives. We are truly a community of believers at AHA and I am so proud of the many ways we live our Catholic faith. Christmas is indeed a time to reflect on the blessings of the last year. We are grateful to all of you for the many ways you have supported us and brought our hopes and dreams for Kelleher Hall and the newly opened STREAM Lab to fruition. Our many visitors including prospective students and their families have been most impressed by the renovations to our campus and more importantly the improvements and expansions to our programs. As we look forward to decision day next month for the incoming Class of 2022, we stand poised to offer our young women stellar academic opportunities as part of a faith based program of studies here at the Academy of the Holy Angels. We began the month of November with our Faculty Retreat Day on All Saints Day. As we celebrated Mass together in our beautiful new chapel, I was reminded of the many blessings our school community has received from our alumnae, families and friends and my prayers were filled with gratitude. Throughout the month of November you will see a Book of Remembrance on display in our school’s main lobby where all members of our AHA community can enter the names of deceased family and friends to be remembered in our prayers. Our new spaces in Kelleher Hall are now buzzing with the sights and sounds of school. The first floor classrooms are filled with faculty and students hard at work, the chapel is often used for Religious Studies classes and the student work on display in the new Art studios is amazing. Our business offices have all moved back to Kelleher Hall. The tuition office is located on the first floor and you will find the Advancement/Alumnae, Communications, Facilities and Finance offices along with my office on the second floor. On the first floor you will also find our office of Mission and Ministry. November is filled with many events here at Holy Angels. On Monday night, November 6th, we will host an evening Open House beginning at 6PM. I invite you to ask your families and friends who are looking at high schools to join us. On Wednesday, November 8th, we invite our alumnae to join us for a “Sip and Paint” gathering in our new Art studios. The fall drama, “And Then There Were None” will be performed throughout the weekend of November 10th, 11th and 12th and our PAA hosts their annual Beefsteak dinner on Saturday November 4th when we will honor Howard Schuman our track coach. I look forward to seeing you here at school. As we celebrate this season of Thanksgiving, be assured of my prayers for you and your families. In the words of Blessed Theresa, “No angel is able to count the blessings which even on a single day God gives to a person.” Wishing you all a very happy Thanksgiving filled with the company of family and friends. October 2, 2017, marks an extraordinary day in the history of Holy Angels. On this date one hundred and thirty eight years ago, Sister Nonna Dunphy founded our beloved school in Fort Lee. Over fifty-two years ago AHA began a new chapter here on the Demarest campus and now we look forward to a future filled with great promise as we dedicate Sister Genevieve Kelleher Hall. On this our Feast Day, we gather to honor that history and celebrate our future. St. Matthew wrote, “Whatever you ask in prayer, your will receive because of faith.” Sister Genevieve Kelleher Hall has become a reality because of faith. The faith of the School Sisters of Notre Dame who established this school in a small white frame house in Fort Lee so many years go and the faith of all the Sisters who served this Academy as administrators and teachers for the last 138 years. The faith of our benefactors who are truly prayers answered for all of us at Holy Angels. The generous support of the School Sisters and the Atlantic Midwest Provincial Council. AHA’s Board of Trustees, facilities committee members Ed Malley and Tom Kohli and our board chair Sister Sharon Slear. Our administrative team Jean Mullooly, Francesca Tambone-Puzio, Andrea Beyer and George Ballane. Special thanks to George Ballane who served as the day to day administrator of this project. Our architects from DiCara & Rubino Jerry Rubino and Jake Sentchak. Glenn Vanas and Gene Patterson from Vanas Construction. Turner Construction and Kevin McMahon. Our advancement team- Dorrie Voulgaris, Joe Branciforte, Patti Hill and Theresa Shubeck and our campaign cabinet for their leadership. To our parents past and present parents, our many friends and most especially our alumnae who contributed to this campaign. It is indeed a wonderful time to be at the Academy of the Holy Angels. Welcome back! I hope the summer was a time of rest and relaxation for you and your families. A special welcome to all our new Angels and their families. It has been wonderful to see our Class of 2021 here at orientation. As I write this letter, the work on Kelleher Hall is nearing completion. It has been a very busy summer and we anticipate having this beautiful new space ready for students in September. Our Angels will find two new art studios, new classrooms and Mac Lab. Kelleher Hall is also home to the new SSND Heritage Suite, a gift from the School Sisters of Notre Dame, and the beautifully restored Chapel where our religious studies classes and Campus Ministry department can meet. We are planning to move our business offices to the second floor of Kelleher Hall later in September, so I will keep you posted as to our new locations. Work continues on schedule for our new STREAM lab on the lower level of the main school building and should be completed by mid-October. This state-of-the-art space will enhance our science and math programs. We look forward to welcoming Bishop Flesey here on October 2nd as we dedicate Kelleher Hall on our feast day, the Feast of the Holy Angels, and embark on this new chapter in AHA’s history. The theme we have chosen for the coming school year is “We seek what they sought.” To our leadership team, this means our goal is to continue the work of the SSNDs and transform our world through the education of others. We are sincere when we say that “Women leaders begin here,” and we are dedicated to providing all of our students with a challenging and safe environment where they can both define their goals and find the support to achieve them. This promises to be a very exciting year here at Holy Angels, and I invite our families to find ways to become involved in our school community. Please be sure to check out our parent organizations and join us for a meeting of the Parents' Guild, Angels in the Arts (AITA), or Parents Athletic Association (PAA). As a parent, I know only too well how fleeting our children’s high school years can be. Community is at the heart of Christian education not simply as a concept to be taught but as a reality to be lived (To Teach as Jesus Did, USCCB). I look forward to seeing you at school events throughout the year. Blessed Theresa Gerhardinger teaches us in Truth and Dare that “During your vacation you have gathered yourself together in God; therefore, you will go to your daily work renewed in spirit and with holy zeal.” Let us allow these words to be our prayer as together we ask God’s guidance on another school year. As we arrive at the end of the school year here at Holy Angels, we can look back with great satisfaction. This has certainly been a transformative year for all of us with a new administrative team and the renovation of Kelleher Hall. Our faculty and students can look forward to returning in September to many new and exciting improvements to our campus. I believe we have all learned the importance of collaboration and community this year as we faced the challenges of the school renovations. Our faculty and students were very accommodating as we juggled schedules and classrooms to allow for the work on campus. Throughout the summer, the work will continue on Kelleher Hall and with the completion of the new STREAM lab in the former Little Theater space. We will also be completing upgrades to flooring in the athletics wing of the school along with the usual summer maintenance work. We are all looking forward to welcoming the Class of 2021 as they join the AHA community in September and wish our newest Angels and their families God’s blessings as they begin their high school journeys. This month we bid farewell to the Class of 2017 and congratulate them for their extraordinary accomplishments during their years here at Holy Angels. To our newest alumnae I would like to share the words of St. Ignatius Loyola, “Go forth and set the world on fire,” but always remember you have a home here at AHA. May has arrived and with graduation just around the corner, our campus is a very busy place indeed. The work on Kelleher Hall continues and the first stage of demolition has been completed. Recently I had my first sneak peek of the new interior of the building. It is amazing to see how much space we have and to actually see all our dreams and plans coming true. In just a few short months we will look forward to welcoming our students to their beautiful new learning spaces. The month of May brings many celebrations to our school community. 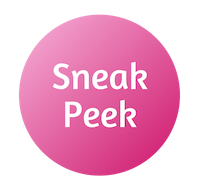 Our alumnae moms will gather for their annual dinner on May 1st and our annual Mother-Daughter Fashion Show is set for May 16th. We will be celebrating the talents of all our student artists and performers- musicians, choral performers, members of our drama and musical casts and our dance team- at our AITA dinner on May 24th. We also look forward to welcoming the Class of 2021 and their families to a BBQ here on campus on May 23rd. The last couple of weeks have been bittersweet for us as the Academy lost a loyal member of our community, our school dog Luke. As Sister Mary Foley’s ever faithful companion, Luke has been a loyal and steady presence here at AHA for many years and will be missed by students and faculty alike. It looks as though spring has finally returned and along with it many of our traditional events here at Holy Angels. On Friday, March 31st, we celebrated our 20th annual Angelic Evening, as a sellout crowd of our friends and supporters joined in support of our school. We all enjoyed a lovely evening in a new venue. Many thanks to all our parent volunteers, Angel volunteers, faculty and staff who helped make this event such a success. All the funds raised will contribute to new equipment and furnishings for the classrooms in Kelleher Hall. This month we look forward to our school play, Grandparents Day and the Spring Concert. I look forward to seeing you at these events. Spring is a season of promise and renewal - the celebration of Easter, the beauty of flowers and more sun-filled days. It is also a season of continued rebuilding here at AHA as work moves forward at Kelleher Hall. Last month we were pleased to have Vanas Construction Company join the project as we move on to the building phase. Some of you may remember them from our learning center project. The next several months will be very busy ones here at campus as we look toward completion of the project by summer’s end. I am pleased to report that our capital campaign continues on with the strong support of many of our alumnae, families, friends and benefactors. It will take the support of all our constituencies to bring this long-awaited dream to reality. Thank you for all your support. As we look forward to Palm Sunday and Holy Week, I wish you and your families a very blessed Easter season. May we all find new life and renewed hope in the Resurrection celebration. This first day of March also marks the first day of Lent. At Holy Angels, we begin our Lenten journey together as we receive ashes. Throughout Lent, let us pray for peace in our world and our homes as we respond to the needs of our world and share our many gifts with others. I hope this season will bring each of us time for reflection and renewal. On the last day of March, we will celebrate our 20th annual Angelic Evening Gala. This year we will gather together at a new venue, the Palisadium in Cliffside Park on March 31st at 6:30 p.m. I look forward to seeing many of our alumnae, families and friends gathered there for an enjoyable and fun-filled evening as we support AHA. Our advancement office has been working very hard with our many parent volunteers to plan an evening full of fine food, music and beautiful prizes. All of the proceeds from this year’s gala will directly benefit our students by providing funds for equipment and furnishings for the new art studios and classrooms in Kelleher Hall. Please check out the many ways you can support Angelic Evening on our website at www.holyangels.org/AngelicEvening2017. The work continues on Kelleher Hall to complete the first phase of the project dealing with the demo and remediation of the building’s interior. At our February board of trustees meeting, we donned our hard hats and held the official launch for the project. We expect to begin the reconstruction of the building in late spring. I will continue to keep you posted on our progress and I thank you for your support. As we begin our celebration of Catholic Schools Week here at AHA, let us reflect on the reasons why families choose Catholic schools and in particular the Academy of the Holy Angels. Our Catholic schools provide our students with communities of faith, knowledge and service and I believe our incoming freshman class will find these to be the hallmarks of a Holy Angels education. Our Catholic faith is the very cornerstone of our foundation as a sponsored work of the School Sisters of Notre Dame. We practice our faith as a community at liturgies, prayer services, retreats and in our classrooms. Our students live their faith through the many service hours they contribute to both their local and global communities. Academic excellence is synonymous with a Holy Angels education and our graduates leave AHA with the knowledge and academic experiences which lead them to success in college and careers. The renovation of Kelleher Hall is now underway and so we look forward to a new chapter for our school. Upon completion, the first floor will boast new instructional spaces for our students including two new art studios, a Mac Lab and two multi-purpose classrooms. The updated Chapel will present a beautiful new worship space for our classes to share. Upstairs, you will find the SSND Heritage Center where Campus Ministry and other groups can meet along with our business offices and conference rooms. I hope you will join us for this year’s Angelic Evening celebration on Friday, March 31st at the Palisadium in Cliffside Park. The evening’s festivities will include a sumptuous cocktail hour, sit-down dinner and dancing. There are many ways to support Holy Angels that evening along with the chance to enjoy the company of friends and meet new members of our AHA community. Please visit our website for ticket and journal opportunities at https://www.holyangels.org/AngelicEvening2017. All proceeds from this year’s Angelic Evening will benefit the equipment and furnishings for our new Kelleher Hall. I am happy to share with you that my family and friends will be joining me that night and I hope to see you there! Happy New Year! May you be blessed with all the good things God has to give and may His love surround you today and always. I hope the Christmas holidays gave everyone a chance to enjoy time with family and friends and to reflect on life’s many blessings. As we gathered together as a school community to light our Advent wreath, we reflected upon this season of preparation and expectation as we wait for the coming of our Savior Jesus Christ. We remembered the grace that comes to us from Mary’s “Yes” and her willingness to accept things on faith as we open our hearts to the belief that we can all be God-bearers. Advent marks the beginning of the liturgical year and offers each of us the opportunity to renew our faith and love for God and for one and other. This month I will be visiting our School Sisters of Notre Dame in Wilton, Connecticut, to speak at their Province Assembly. The Sisters are committed to learning more about their sponsored ministries and have invited me to make a presentation about Holy Angels. There is so much good news to share with them and I look forward to telling them about all the accomplishments of our students in the classrooms, playing fields, art studios, dance studio and especially the many ways our students serve their community and world. I know the Sisters will be especially interested to hear all about AHA’s efforts on behalf of Haiti. To date our Hope for Haiti initiatives have raised the funds to support at least two Haitian families as they struggle to recover from the devastation of Hurricane Matthew. I am sure the School Sisters will be as proud of our students and faculty as I am for all their hard work to make a difference in our world. November brings transitions- changing weather, elections, the holiday season and for us here at AHA the beginning of the transformation of Kelleher Hall. In preparation for construction, we are moving our business offices to the “White house” located behind the school for the remainder of the school year. If you have the need to visit any of our offices - President, Finance, Tuition Coordinator and the Advancement office- please drive around the main school building where you will find parking in front of the white house. All of our telephone extensions remain the same. In January following mid-term exams, all classes will be moved from the existing convent building to the main school building. We anticipate the project to begin in February and I will keep you informed as to progress. In keeping with our strong school tradition of service to others, we at Holy Angels are organizing several fundraisers to benefit the people of Haiti in the wake of the devastating hurricane. Haiti is one of the four commitments of the School Sisters of Notre Dame and we are proud to team with the SSND’s and Beyond Borders to raise funds and awareness for those who have so little and have lost so much. Details for various events will be posted on our website and we thank you for your support. November’s calendar is a busy one. We have the AHA Athletic Hall of Fame and PAA’s annual beefsteak dinner on Saturday November 5; our Mini Open House on November 7; our fall drama production of Blithe Spirit the weekend of November 11-13 and Kairos retreat the weekend of November 18. We have much to be proud of at Holy Angels and I look forward to seeing you at these events. 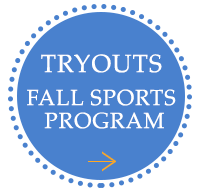 October is always one of the busiest times here at Holy Angels, and this year will be no exception. We begin the month with our celebration of the founding of our school on October 2nd, the Feast of the Holy Angels. This year as always, we will reflect on the story of Sister Nonna Dunphy who established the Academy in 1879. As the story goes, Sister Nonna was sent to purchase the property in Fort Lee and take charge of a new school for young women with only $20.00 in hand! I marvel at the courage, vision and especially the faith of these religious women who persevered and built the foundation for the work that still continues here today. More than ever, we seek what those brave Sisters sought, to educate the women our world needs most and transform the world through education. Our first Open House of the year will be held on October 2nd. To our prospective families, I offer the following advice- do your research and learn the difference a Holy Angels education can offer your daughters. AHA is a school where young women will define their potential and discover a community that will help them to grow and achieve their goals. Just look at the accomplishments of our graduates in the arts, science, fields of law, education and medicine. These are all women with a purpose and a well-defined sense of social justice. We say, “Women leaders begin here” because they do and every member of our faculty and staff are here to support our students as they prepare for their life’s journeys. October is also a month of homecoming for us, and we celebrate Alumnae Weekend on October 21st and 22nd. Foundation Day (October 24th) gives us an opportunity to honor the School Sisters of Notre Dame, especially those who have served our school, as we celebrate the founding of their order. We will also be traveling to Florida for several alumnae gatherings- if you live in the Sunshine State please visit our alumnae page and check out our plans- we would love to see you! Our Board of Trustees held their first meeting in September and I am pleased to report that we are on track with the third year of our school’s strategic plan. We look forward to the renovation of Kelleher Hall; construction is scheduled to begin by early Spring 2017 and our capital campaign is well underway for the funding of this project. Throughout this school year, I will keep you posted on the progress of these important initiatives. Welcome back! I hope the summer break gave us all the opportunity for rest and relaxation with our families and friends. As you return to campus this month, you will see some important upgrades and new additions. The entire exterior of the school building and gym have been painted. Thanks to the generous support of the PAA, our tennis courts were resurfaced. The Parents Guild provided us with a new sound system for the Student Commons- many thanks for this much needed improvement. We continued with our multi-year plan to replace the flooring on the lower level of the school and the administration offices in the main building were updated to welcome our new administrative team. We are excited to welcome Aladdin Food Services to AHA and look forward to offering our students and staff healthy choices and improved service for breakfast, lunch and after school snacks. Our on-site chef/manager Russell Ash has been busy preparing new menus and setting up the kitchen and cafeteria to better serve our needs. You can find out more about Aladdin on our website. The planning continues for the renovation of Kelleher Hall later this year. We are looking forward to beginning this project in early Spring 2017. Throughout the summer, we have continued to work with Ruotolo Associates on our capital campaign for the project; and our Capital Campaign Cabinet will soon begin reaching out to our broader community. I look forward to your support as we work together to enhance our facilities and programs. I am delighted to welcome the Class of 2020 as the newest members of our extraordinary community of learners. This year we are embracing the words of Blessed Theresa, “In unity is our strength,” as our theme. In this year of transition, our goal is to work as a community of one mind, one heart and one spirit as together we continue to transform the world through the education of our young women. Summer has arrived - and with it an opportunity to thank everyone in our community for a wonderful year of jubilee! To our faculty and staff, many thanks for your hard work and dedication to our students and our school. I look forward to your support as we begin a new chapter here at Holy Angels. To our students, congratulations for all your hard work and service this past year- I hope you have time for lots of rest and relaxation this summer. A special thank you to our parent groups and all our volunteers who make such a difference for us; it is the support of our families that contributes to the success of our events and programs and I wish all of you a restful summer. While the summer months bring vacation time to many of us, here at school the work never stops. In addition to the usual cleaning and refreshing that goes on at school, this summer we will be addressing some major projects as well. The entire exterior of the school will be painted. We will continue with our multi-year plan to replace flooring in the building; and with the very generous support of the PAA, we will be re-surfacing the tennis courts for use by our tennis team and all our physical education classes. I am looking forward to working with our new administrative team and our first official meeting will be a retreat day in July. Ms. Mullooly and I have been very busy planning for next year and I believe the future holds great things for all of here at AHA. Along with Mrs. Beyer and Mrs. Tambone-Puzio, I am pleased to announce that Mr. George Ballane will be joining our administrative team as Facilities Administrator. In addition to supervising the technology advancements here at Holy Angels, Mr. Ballane will be responsible for the oversight of major projects here at school, security initiatives and vendor relationships. May you walk with God this summer in whatever you do and wherever you go. May you talk to God this summer every day and every situation. May you be blessed with peaceful and relaxing times to share with your families and friends. As I reach the end of my second year here at Holy Angels, I must share with you that the last month has been the most exciting since my arrival. In May, I was blessed to participate in an SSND Heritage Trip to Munich, Vienna and Rome. It was an extraordinary experience to pray at the tomb of Blessed Theresa Gerhardinger in Munich on the feast day of her death and visit her birthplace along with the first SSND motherhouse and school. In Rome, we celebrated Mass at the SSND Generalate where I met Sister Mary Maher, General Superior of the SSND’s and an alumna of Holy Angels. Sister Mary Maher sends her greetings and prayers to our entire school community. The trip gave me the opportunity to see how here at Holy Angels we are a part of the universal mission of the School Sisters of Notre Dame to transform the world through education, in particular the education of young women. In each place we visited, I saw the same commitment to the SSND charism that I see every day here at AHA- commitment to education, concern for the poor and care for our Earth. While visiting the SSND Educational Institute in Vienna, their mission statement summed up this sense of unity of vision, “We accompany young people and encourage them to discern their uniqueness, develop their gifts, accept their limitations and live in community with consideration and respect, in freedom and responsibility to make the earth a more human place.” If we can accomplish this as a school community, how truly blessed we will be. Last week, I announced news of a transformative and generous leadership gift of one million dollars to the Academy of the Holy Angels. The donor who wishes to remain anonymous, has provided the nucleus funds that will allow us to move forward with the renovation of the convent building which will be known as “Sister Genevieve Kelleher Hall.” The convent initiative is the first step in AHA’s master facilities plan and will provide our students and our programs with space that allows for interdisciplinary instruction, artistic expression and worship. In the coming months I will be sharing details of our construction plans and philanthropic needs with our community. I look forward to partnering with all of you as we embark on this new chapter in our school’s history. The month of June also brings the end of the school year and graduation. My prayer for all of you is for a safe and healthy summer blessed with the company of family and friends and the time to enjoy them. It is also time to wish our Class of 2016, “Sweet Sixteen” as they have been known, congratulations and God’s blessings as they continue on their journey to college and beyond. I know you all join me in wishing our principal, Jennifer Moran thanks for all she has done here at Holy Angels and every happiness as she retires. Our Jubilee Gala was a wonderful celebration as we celebrated our golden anniversary here on our Demarest campus and honored Miss Moran for her twenty nine years of service to AHA. The evening was a great success in every way and benefited our school’s STREAM initiative – a true cross-curricular program involving every subject and open to every student. What a pleasure to welcome back so many alumnae, past parents and all the past Presidents of AHA- Sister Claire Bonneau, Mary Cherif, Sister Virginia Bobrowski and Sister Patricia Murphy, in addition to our many friends, current families and supporters. The evening’s celebration was made possible by months of planning by our Gala Committee and parent volunteers. Our entire AHA family- alumnae, faculty and students- all contributed to create the evening’s program. Colleen Staff and Donna DeConzo once again teamed as the acquisition co-chairs for the auctions and Pauline Pellegrino shared her time and talents to provide us with the journal book this year. As we Proclaim Jubilee and celebrate fifty years here in Demarest and 137 years since our school’s founding in Fort Lee, we are always looking forward to the next chapter in our history. In the coming months I will be sharing exciting news and plans for our campus and our programs and I hope you will be a part of that future. Today more than ever we seek what the School Sisters of Notre Dame sought in 1879 – to transform the world through education and educate the young women our world needs most. Our foundress Blessed Theresa Gerhardinger wrote, “Let the light of your good example shine.” Let us work together to continue our work to prepare young women for a lifetime of intellectual curiosity, spiritual growth and service to others as we lead Holy Angels into the future. Happy Easter! I hope that you and your families have been blessed with hope which is the greatest gift of Easter, the hope we receive through God’s ultimate triumph and from His goodness and love. Spring has arrived and with it plans for a very busy April here at Holy Angels. As we welcome everyone back from Spring break, we look forward to several special events this month. On Friday, April 8th, we will be welcoming the families of our freshmen and juniors for our Grandparent’s Day program. This day is a very special tradition here at Holy Angels as we celebrate our Easter liturgy. Our jubilee events continue with a visit to the Washington DC area for an Angel alumnae gathering the weekend of April 9th. If you are an alumna in the DC/Maryland area, please check our website for details as we would love to connect with you. For the last year, many volunteers and staff members have been planning for our Jubilee Gala and we will gather as a community on Friday evening April 22nd at the Rockleigh Country Club for our celebration. As we commemorate fifty years here at our Demarest campus, we look forward to welcoming home alumnae, past parents, former faculty and staff, current families and many friends for this very special occasion. We will be honoring our principal, Miss Jennifer Moran, as she retires in June after twenty nine years of service to Holy Angels. The academic excellence and integrity of a Holy Angels education is a testament to the extraordinary work ethic and pursuit of excellence that Miss Moran brought to AHA. The proceeds from the evening’s events will support our school’s STREAM programs. We are anticipating a sell-out event, so for more information about reservations please visit our website at www.holyangels.org/JubileeGala2016. I look forward to seeing you there! Our new administrative team has been meeting since January. I am looking forward to the energy and vision Miss Mullooly, Mrs. Tambone-Puzio and Ms. Orlando have shared as we plan for the future of our school. During this time of transition, I ask for your prayers as together we continue the mission of our beloved School Sisters of Notre Dame to educate the young women our world needs the most. As we continue our Lenten journey together, let us reflect on the words of our foundress, Blessed Theresa Gerhardinger to “lay aside all unkindness, bearing each other’s weaknesses patiently, lovingly offering one another the hand of forgiveness before the sun sets.” Here at Holy Angels we practice our faith as a community as we received our ashes from student ministers on Ash Wednesday. The Sacrament of Reconciliation is available to all our students at our Lenten Penance Service and our students offer sacrifices for others through their support of CRS Rice Bowl. Our Angels continue to put their faith into action as they make plans to participate in service programs over the Easter and summer breaks. May this Lenten season bring us all the opportunity to use our sacrifices to draw closer to God and one another. We are already looking forward to welcoming our Class of 2020 to Holy Angels. As a parent I know one of the most important decisions we face is the selection of schools for our children. We are ever mindful of the faith parents place in us when they enroll their daughters here at AHA. As an administrator, I can assure you that your trust is well placed as you have chosen a learning community where your daughter will not only define her goals but will also find the support she needs to achieve her goals in a safe and faith filled environment. Our Board of Trustees has been busy discerning future plans for the school’s facilities. As we study the future needs of our school, we are looking to renovate the convent building to better serve our students and programs. Preliminary architectural plans are under consideration and will be shared with our community in the coming months. Recently, the firm of Ruotolo and Associates completed a capital campaign study and I wish to thank everyone who participated in this important information gathering. Our next steps with Ruotolo will involve the preparation of a case statement and plans for our capital campaign. As always, the support of all members of our community will be the key to our success. As we approach this new season of changes at Holy Angels, together let us remember the words of Blessed Theresa, “In all may God be our goal and end, our highest good, in whom we find all that makes us content and truly happy,” (July 2nd, Truth and Dare). I hope you will all consider joining us for our Jubilee Gala on April 22nd as we honor Miss Moran and support our school’s STREAM initiatives. I pray that you and your families will be blessed with the joy, hope and peace of the Risen Christ when we reach Easter. I wish you a happy, healthy and peace-filled 2016. This year promises to be an exciting time of great promise for us here at Holy Angels. Last month I shared with you the appointment of Ms. Jean Mullooly as our next principal. 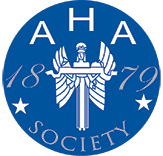 I am pleased to announce the following appointments to our administrative team here at AHA. Mrs. Francesca Tambone-Puzio will be joining us as the Academic Dean. Mrs. Tambone-Puzio is an experienced educator who has served Bergen Catholic for many years as a dean, department chair and teacher. Ms. Andrea Orlando has been appointed as the Dean of Students. Ms. Orlando is known to us at Holy Angels as a member of our Mathematics department. Both have earned graduate degrees in school administration and each possess a true commitment to Catholic education. I look forward to working with our administrative team here as we continue the work of the School Sisters of Notre Dame and lead the Academy of the Holy Angels into the future. Throughout the fall, Ruotolo and Associates have been working with us to complete a pre-campaign study. I am pleased to report that their work has been completed and our Board of Trustees will receive their report at their next meeting in February. Many thanks to all in our community who participated in this study. I will continue to keep you informed as to the next steps in our capital campaign. As we continue our jubilee year here at our Demarest campus, I invite you to join us on Friday April 22nd at the Rockleigh Country Club for our Jubilee Gala. We will be honoring Jennifer Moran as she retires after 28 years here at Holy Angels. You can support this event by attending, purchasing a sponsorship or journal ad or making a contribution to the event or auction. Information can be found on our website at http://www.holyangels.org/JubileeGala2016. I look forward to seeing you there and thank you for your support. All proceeds from the evening will benefit our STREAM program here at AHA. “O God, bless this space and all who work and pray here. Fill us with the light of Christ that we may share your love with the less fortunate of the world. Amen.” In this Year of Jubilee, I wish to send this prayer to all of your homes. The hope and promise of Advent is upon us as we look forward to the coming joy of Christmas. In The Joy of the Gospel, Pope Francis invites all Christians to a renewed personal encounter with Christ. He reminds us how each of us are called to experience the joy of knowing God’s love for us and in turn sharing that love with others. Each year, Advent presents us with the opportunity to renew our personal relationships with God, to echo Mary’s yes to the angel Gabriel and focus on the hope that is Advent. I pray that we will all have the time to find joy in others and ourselves and become God-bearers this Christmas season. I am pleased to announce that we have completed the search process for our next principal. Last week I announced the appointment of Ms. Jean Mullooly as Principal of the Academy of the Holy Angels effective July 1, 2016. She is an experienced educator who embraces the mission of our school and the charism of the School Sisters of Notre Dame. She brings many years of experience at AHA having served as our Dean of Students and a teacher in our English department. A Holy Angels alumna as well as an alumnae parent, Ms. Mullooly certainly understands the potential for the future of our school and I look forward to the great things she and I will accomplish together for Holy Angels. I wish to thank the search committee for their work and support and all of you in our Angels community for your prayers throughout this process. The arrival of November remains a time for all of us here at Holy Angels to reflect on our many blessings as we celebrate our jubilee year. One of our greatest blessings continues to be the presence and support of the School Sisters of Notre Dame. Recently our faculty and staff shared a retreat day and embarked on a trip to rediscover our roots. We returned to the location of the original school campus in Fort Lee and then visited Madonna Cemetery where the foundress of our school Sister Nonna Dunphy rests along with many of the other School Sisters who gave countless years of service to establish our school. These women realized the power of educating women and their vision remains our compass today. We are all a part of their journey and continue to share their charism to bring the Gospel message to educate with the conviction that the world can be changed through the transformation of persons and to work together as a community to develop right relationships with God, with others, with ourselves and with the goods of the earth. Our alumnae are another gift for which we offer thanks. As we celebrated homecoming weekend last month, the presence of so many alumnae from both our Fort Lee and Demarest campuses enhanced our celebration. Whether your journey at AHA began under the dome in Fort Lee or here in Demarest, once an Angel means always an Angel. I have been traveling in California to visit with some of our west coast alumnae and at every visit I continue to see how the Holy Angels difference has consistently resulted in graduates who possess the confidence and mindset to improve our world and whose lives and work represent the faith, vision and courage which began for them at Holy Angels. To our administration, faculty and staff I offer thanks for all you do each and every day. You recognize that tradition needs innovation as you provide our young women with an education that proclaims our faith and prepares them for the future. This will be a transformative year for our school community with the appointment of the next principal and I want to update you on the progress of the search process. During the last month I have completed the first round of interviews with candidates. The next step in the process will be for the search committee to interview the finalists. The faculty and staff will also have the opportunity to meet the finalists before I announce the appointment. Thank you for your prayerful support as we complete this important work. October promises to be a very busy and special month here at Holy Angels. We look forward to our Feast Day liturgy on October 2nd, when Archbishop Hebda will celebrate Mass with us as we “Proclaim Jubilee” in honor of our fiftieth year here in Demarest. The weekend of October 23rd will be a time for welcoming back, as we host Foundation Day and Alumnae Weekend. We are looking forward to visits from many of our School Sisters of Notre Dame and the return of our Angel alumnae for our golden anniversary. Legacy families are invited for a reception at our October 4th Open House. There will be a gathering for our NJ Shore alumnae on October 6th and later this month, Dorrie Voulgaris and I will travel to California for regional alumnae gatherings in San Francisco, Los Angeles and San Diego. Our Angels are everywhere! We were all very excited to follow Pope Francis’ visit to our area last week- and several among our community were fortunate enough to be present at events in New York. Our Holy Father’s message truly resonates with us here at Holy Angels as it reflects the very core of our SSND charism to address the many divisions in our world and our church and the social, economic and ecological crises of our time (from the Directional Statement of the School Sisters of Notre Dame). Every day I see our faculty and students responding to Pope Francis’ call to care for the poor, work for justice for immigrants, to preserve the environment and honor our families as they learn compassion and forgiveness for others through our campus ministry and service programs. I am very proud to be part of a school community where we educate the whole person and where service and concern for others is the very fiber of who we are. Our Board of Trustees held their first meeting of the year, and they have already embarked on the committee work needed to achieve the goals set forth in year two of our Strategic Plan AHA 2020. I will continue to share our progress with you as the year unfolds. I believe one of my most important responsibilities this year will be the appointment of our next principal. Interviews begin this month and I will keep you informed throughout this process. As we enjoy the beautiful days of autumn, may we find in the ways of nature a way for ourselves. Welcome back for the 2015-16 school year as we “Proclaim Jubilee” and celebrate fifty years here on our Demarest campus! The book of Leviticus tells us, “You shall have the fiftieth year as a jubilee”, referring to it as the “Sabbath of Sabbaths” and requiring that a celebration be held. Anniversary celebrations such as these are a wonderful time to look back and reflect on our shared history and accomplishments. To echo the words of our recent Middle States report, “What began in a simple frame house in Fort Lee purchased by Sister Nonna Dunphy has grown into a premier college preparatory school.” Our jubilee celebrations begin on October 2nd, the Feast of the Holy Angels as we look forward to welcoming Archbishop Hebda to celebrate our Feast Day Mass. On October 23rd, we will celebrate Foundation Day with our beloved School Sisters of Notre Dame. Foundation Day is also the opening event of our Alumnae Weekend when we will celebrate all our reunion classes from both our Fort Lee and Demarest campuses. Our anniversary year celebrations will culminate with our Jubilee Gala on April 22, 2016, as we honor our principal Jennifer Moran for her many contributions to our school’s success story. Anniversaries also give us a chance to look forward. This September we welcome 176 freshmen to begin their journeys as Angels. Our summer season was a busy one here at AHA, as we updated offices and classrooms and expanded our faculty and staff in preparation for the coming year. In addition to the new faculty appointments Miss Moran outlined in her letter, I would like to share news with you from our administrative offices. I am pleased to announce the appointment of Dorrie Voulgaris as our Director of Advancement. In this role, she is now responsible for the supervision of all fundraising and alumnae programs. Barbara Burklund has been appointed an Assistant Director of Advancement for special events. We also welcome Kathleen DiGiulio as an Assistant Director of Advancement for giving and grants; Effie Panos to the Finance Office as our Accounts Payable Coordinator; Rachel Gramuglia to our Communications Office as our Web and Social Media Content Manager and Donna Italiano as our Public Relations/ Marketing Assistant. This fall, we will begin our search for the next principal of Holy Angels. I am grateful to the members of our search committee who will be assisting me with this process. The first phase of the search has begun with the posting of the position and call for applicants. I will keep you posted as to our progress. I look forward to proclaiming jubilee with all of you this year and wish our students and faculty a wonderful year. In the words of our foundress Blessed Theresa of Gerhardinger, “Let us cling to our heritage which embraces the whole world, which forms one heart and mind.” Together let us plan for our future as we celebrate our past. June is so full of hope and optimism. We look forward to the relaxation of summer vacations and time to enjoy with our families and friends. We celebrate baccalaureate Mass and graduation as our seniors look forward to the new challenges and experiences that await them. Here at school we are already looking ahead to September and the arrival of more than 600 students including the Class of 2019. Many projects are planned this summer to prepare our campus for our Angels as we celebrate our jubilee here in Demarest. Miss Moran has shared the results of our very successful Middle States visit in her letter this month. I would like to take this opportunity to congratulate her and our faculty, staff and students for a job well done. In every area, Holy Angels was commended for our collaboration, responsibility and ethical approach. 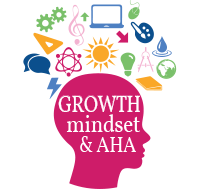 Our Growth Mindset initiative was well-received and all members of our school community were noted to be extremely devoted to meeting the needs of our students. Bravo to one and all! Congratulations to our graduates and their families! Thoreau described Spring as “an experience in immortality.” With the arrival of the month of May, we all seem to have found a sense of renewed purpose and focus here at Holy Angels. Students and teachers are focused on finishing the school year and exams. Looking forward to graduation, we celebrate the achievements of the Class of 2015 as they announce their college plans and congratulate our soon-to-be-alumnae on their amazing accomplishments this year. As an administration we are busy planning for the arrival of the Freshman Class of 2019 who will represent one of the largest classes in recent history here at AHA. A comprehensive master facilities plan was completed. The turf field was installed. Recommendations have been presented for renovation of the convent building to provide facilities for multi-purpose instructional space, administrative office and meeting rooms. A series of events and opportunities were orchestrated to provide orientation for the new President. The budget was developed to include increase for professional development for faculty and staff. A planned giving program was instituted. The process has begun towards building a Major Gifts Program. Preliminary exploration of campaign counsel in preparation for capital campaign. Board of Trustee structure and function was assessed and annual board agendas and goals were set and measured. Work has begun to complete a data-driven market assessment in the areas of marketing, recruitment and public relations. Student enrollment has increased significantly for 2015-2016 school year. We are proud of the work we have accomplished together this year and personally, I am delighted to be a part of this wonderful community. I will continue to keep you informed as we move forward to year two of our plan. This month I begin with a huge THANK YOU to everyone who supported Angelic Evening! It was an amazing evening that will benefit our students tremendously. 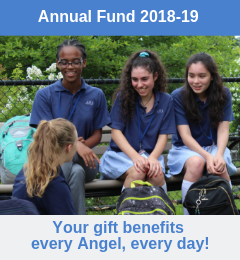 All of the proceeds will be used for scholarship and financial assistance which helps our Angels today and contributes to our school’s sustainability as well. Many thanks to all our donors, volunteer and supporters. A special thank you to our AE chairperson Mary Ayoub, co-chairs Donna DeConzo and Colleen Staff and all the committee chairs for the gift of their time and their dedication to our school. To everyone involved congratulations for a job very well done! This has been a particularly difficult winter for all of us which presented many challenges in terms of snow closings and postponements of events. Thank you for your patience and cooperation- let’s hope Spring has sprung for good! As we look forward to the last quarter of the year, I am pleased to report that we continue to make excellent strides in terms of our school’s new strategic plan. At our April board meeting we will be taking stock of our progress this year and I will share that status with you in my May letter. Please be assured we are moving forward to plan for the arrival of over 600 students to our campus in September- more than were present when Holy Angels moved to this campus fifty years ago. We are also looking at the long term plans needed to update our facilities and sustain our programs for our future generations of students. Please know that you and your families will be in my prayers this Holy Week and throughout the Easter season. At Angelic Evening we prayed together using the following words, “Trinity of oneness and community, may we grow into that oneness that is Christ’s deep desire for us, while becoming a community of one mind and one heart. We ask this through Christ our Lord. Amen.” May you and your families know the joy and grace of the Risen Lord. Lent presents us all with an opportunity for reflection and renewal. Recently, Pope Francis offered his advice for observing Lent this year. Our Holy Father’s tips include the following: Prayer. Take part in the sacraments. Don’t remain indifferent. Evangelize. Help the poor. Almsgiving. Do something that hurts. Fasting. Pray to make our hearts like yours. Leave behind old habits that ensnare us. As I read this list, I am struck by how many of these are a daily part of life here at Holy Angels throughout the year. Blessed Theresa Gerhardinger described prayer as “the growing furnace in which the fire of divine love is kindled and kept burning.” Our days begin with communal prayer and the offering of intentions for ourselves and others. We share school Mass and the reception of the sacraments of Eucharist and Reconciliation. Our young women are never indifferent, they are intelligent and curious to learn about the world around them and equally responsive with their efforts to make a difference in our world. Community service projects abound here at AHA to help those who are less fortunate. Our students are not afraid of hard work when doing for others. Fasting and sacrifice occurs through our participation in Catholic Relief Services Rice Bowl. Lent can also be viewed as a time of formation and looking forward. In September, we will welcome the Class of 2019. These promising young women will continue the legacy of academic excellence and service to others that are at the heart of the mission of our school and the School Sisters of Notre Dame. As a school community we look to the future with great hope as outlined in our Strategic Plan AHA 2020. We are currently looking at our enrollment trends, programs and physical plant with an eye towards planning for future generations of Angels. I believe we will continue to fly higher at Holy Angels where we are blessed to look forward to tomorrow’s achievements and accomplishments while remaining rooted in our Catholic faith. I pray that this Lenten season will give all of us a time for reflection, renewal and formation as we look forward to the joy of Easter. “Love cannot wait.” Three simple words yet they are the very essence of who we are at Holy Angels. As a sponsored work of the School Sisters of Notre Dame here at Holy Angels we commit to their mission to “direct our resources and ministries toward education that transforms and calls all to eliminate the root causes of injustice; to deepen the contemplative and prophetic dimensions of our lives by grounding who we are and all we do in the love of the Triune God,” (Directional Statement School Sisters of Notre Dame 23rd General Chapter). Each student is encouraged to become an active participant in her education through acts of service to others. The concern for those in need quickly becomes a way of life for our Angels. Earlier this year they responded to a request from Sister Cathy Arata, SSND, and dedicated their efforts to raise funds to support schools in the South Sudan. More recently, their response to the victims of the devastating fire in Edgewater resulted in over 500 bags of donations in just a twenty-four hour period. At World Youth Day, Pope Francis challenged young people to, “Put on faith and your life will take on a new flavor, it will have a compass to show you the way; put on hope and every one of your days will be enlightened and your horizon will no longer be dark, but luminous; put on love, and your life will be like a house built on rock, your journey will be joyful, because you will find many friends to journey with you.” Our young women truly seem to be responding to our Holy Father’s challenge through their service trips to Caroline House, St. Peter the Apostle School, Nazareth Farms in Appalachia and the Communidad Enlaces de Esperanza Border Experience in Arizona. Their willingness to share their faith and love through works of service is a hallmark of the overall AHA experience. In this month when we celebrate love, I thank our students for their commitment to our mission and our faith. I am so very proud of how love does not wait at Holy Angels. Happy Valentine’s Day! Happy New Year! I hope that 2015 will be blessed with good health, hope and happiness for all of us in the AHA community. January promises to be a very busy and exciting month for us here. Our admissions team has been working hard throughout the fall to achieve record numbers at our open houses and Angel for a Day Visits. We look forward to meeting accepted students at our Reception for the Class of 2019 on Monday January 26th. The young women in our Class of 2019 will join a talent filled community. As our incoming Angels receive their letters, our Seniors are also beginning to hear about their college acceptances. Once again, our young women are making us proud with acceptances to University of Pennsylvania, Cornell, Notre Dame and Georgetown to name a few. Congratulations ladies! Plans are already well underway for this year’s Angelic Evening to be held on Friday March 27th. Once again we will gather at the Rockleigh Country Club in support of our school. I hope you can join us for an evening of great food and company as we raise funds to benefit our scholarship and financial aid programs. Hope to see you there! As we look ahead for 2015, plans are underway for our golden jubilee year celebration. Next October 2nd, we will celebrate our fiftieth anniversary here on the Demarest campus. The vision and determination of our founder Sister Nonna Dunphy lives on in every student and alumna of this wonderful school and I invite all our alumnae from Fort Lee and Demarest to be a part of this important celebration. We continue to work to provide a safe environment for our Angels. Work is continuing to update our security surveillance and building access systems. Our Board of Trustees has initiated a comprehensive study of our campus and programs. The results of this master plan assessment will guide our future plans for our school. How blessed I am to be a part of this exciting time in AHA’s history. Advent gives us an opportunity to reflect on the history of God’s people as we await the miracle of Christmas. Angels abound in the Advent and Christmas stories- the angel Gabriel brings news to Zecheriah that his wife Elizabeth will bear a child in her old age and visits the young Virgin Mary to deliver the news that she will be the mother of Jesus. An angel assures Joseph about the child Mary shall bear and angels proclaim the birth of Jesus to the shepherds. An angel warns Joseph in a dream to take his wife and newborn son to safety in Egypt. All their lives were transformed by the messages of angels. As a sponsored work of the School Sisters of Notre Dame, here at Holy Angels we seek the transformation of self and society through the education of persons. Pope Francis recently challenged us to “Welcome Him (Jesus) with joy: He can change us, transform our hearts of stone into hearts of flesh, liberate us from selfishness and make our lives a gift of love.” Each day I see our Angels responding to our Holy Father’s challenge and seeking to make a difference in the world and transform both self and society through their many acts of service to others. I see our administration, faculty and staff all working hard to prepare these young women to make a real difference in their world. Today lives are being transformed by the messages our Angels bring to others. Advent is a season of hope. Helen Keller wrote, “Hope sees the invisible, feels the intangible and achieves the impossible.” That is the kind of hope I see in our Angels. Their boundless energy and optimism bless us here each day. On behalf of all of us here at the Academy of the Holy Angels I send you and your Angels our best wishes for a very Merry Christmas and a happy and healthy New Year! be yours now and forever. As president, my primary responsibility is to work in a strong, collaborative model to ensure that the Roman Catholic identity and mission ideals of the School Sisters of Notre Dame are reflected in the Academy’s philosophy and programs. So as I reflected on our theme for this year, “To live simply, responsibly and sustainably because love cannot wait”, I began to think about all the ways we work together as a community each day to live this theme. Here at AHA, I am so fortunate to be supported by a dedicated and talented administration, faculty and staff who work hard each day to support the mission of our school and that of the School Sisters of Notre Dame. We take seriously our Christian responsibility to be faithful stewards of all our gifts. To live sustainably means to choose behaviors that allow us to cultivate and care for our environment here at school and be responsible caretakers of our Earth. Sustainable behaviors allow us to avail ourselves of resources without completely using them up or destroying them. The goal is to perpetuate choices and actions that will sustain our programs and surroundings for generations of future Angels. Following this mindset, our administration chose to pursue an action research project for Middle States aimed at “Sustaining Excellence”. This project draws on the work of Carol Dweck, author of The Growth Mindset, and represents an effort to focus our school community on the learning process in order to help every student fulfill her potential. In the area of recruitment, our Admissions and Marketing team has been hard at work exploring new avenues for marketing AHA, expanding our focus well beyond the traditional marketplace. We are working to increase scholarship and financial aid availability so that deserving students can receive a Holy Angels education. Since arriving here, I have initiated a facility review and analysis. The results of this study will help us to plan for the future of our school so that we can continue to offer young women the AHA experience for many years to come. Our development program is focused on identifying resources and funding that will allow us to enhance our programs as we prepare our young women to be the leaders of tomorrow. I believe all of these efforts and initiatives reflect our commitment to living sustainably. Each week, we all join with our School Sisters of Notre Dame to pray “In Solidarity with All Creation”. This prayer ends with the following, “Loving and gracious God, give us the courage to seek this transformation of self and society and the strength to see it through.” I invite you to join your voices with ours and pray for ourselves, our community and our world. I have always found November a time to reflect on the many blessings in my own life. For me, Thanksgiving is a time for all the things I enjoy most- preparing meals to share with family and friends and enjoying their company. For these gifts, I stop and give thanks. This year I also give thanks for the support of all of you who are my AHA family and wish you and your families all the blessings of the season. I recently found an autumn prayer that begins with the words, “God of all creation, you give us the gift of seasons to mark our journey through time.” As I look at our October calendar, I am struck by the many events that represent milestones on our Angels’ journeys. October begins with the Feast of the Holy Angels when we celebrate the true “birthday” of our school on October 2nd. The extraordinary leadership of our school’s foundress Sister Mary Nonna Dunphy, SSND, which began at the Fort Lee campus, lives on in our students and alumnae. Our girls are leaders, in the classroom, on the field and in our community, leaving AHA well-prepared for college and beyond. Our alumnae continue to make a difference in the world with careers in education, science, law, medicine, government and public service. Their journeys are characterized by purpose and vision to transform our world. We invite girls and their families who are about to embark on the high school journey to join us for our Open House on Sunday, October 5th to learn how an Angel’s education can prepare them for their future. We are proud to offer all of our Angels the opportunity to STREAM higher during their four years here. Holy Angels is a place where women leaders are born, so we encourage interested families and students to visit and learn more about the AHA experience. At Back to School Night on October 9th, our dedicated faculty and staff welcome our parents and guardians to visit their daughters’ classes and learn about the incredible journey our Angels are experiencing every day. We honor the journey of the School Sisters of Notre Dame that began with their foundress Blessed Theresa Gerhardinger in Germany as we celebrate Foundation Day on October 24th. On that day we also welcome home our alumnae for Alumnae Weekend on October 24th and 25th. This is a time for our angels to return home and share the stories of their lives’ journeys with one another. To register for our Alumnae Weekend event please click here. I am blessed to have joined my life’s journey with yours at Holy Angels and pray you will enjoy all the gifts of this beautiful autumn season. Now it is my turn to offer words of welcome- to our newest Angels in the Class of 2018 and our transfer students and welcome back to all our students, faculty and staff! I hope you enjoyed a relaxing and peace filled summer and are ready for the new school year. I would like to thank you for all your kind words of welcome and support I have received since arriving here at AHA on July 1st. Holy Angels is certainly a very special place and I already feel very much at home here. It has been a busy summer here at the Academy. The summer began with the installation of the new turf field. We were blessed with very cooperative weather so the project was completed in time for our athletic programs to begin in mid-August- and the field has been in almost constant use since day one. We can now look forward to its use by our physical education classes and the environmental benefits of a turf field as well. Special thanks to Mrs. Patti Gorsuch for her diligent supervision of the field installation. Other improvements to our physical plant include the repair of exterior sidewalks and re-grading of landscape in front of the school. Both of these projects will enhance the safety and comfort of our campus. We are the recipients of a grant on the amount of $75,000.00 from the department of Homeland Security which will be used to continue the important work of upgrading our school security. I wish to express my gratitude to Ms. Jean Mullooly and Mr. George Ballane for all their work to bring this grant to AHA. The safety of your daughters and all our faculty and staff remains our first priority. Autumn brings with it a new season for student recruitment and our Admissions and Communications departments are hard at work coordinating their efforts to share the good news about the Academy of the Holy Angels and our programs. Our first Open House is on Sunday October 5th from 11AM to 3PM. Parent recommendations remain one of our best advertisements, so please invite your family and friends who may be involved in the high school search process to join us. Our parent organizations- Parents Guild, PAA and AITA are also recruiting new members and I urge you to become involved during your daughters’ years here at AHA. It has been a pleasure to meet many of our families this summer and I look forward to the opportunity to get to know more of you at one of our fall events. All new parents are invited to join us on Sunday, September 14th at 2:00PM for our new parents’ reception. Back to School Night is set for October 9th and I hope to see you there. AHA is blessed with many legacy families, so to our alumnae mothers I extend an invitation to our first Alumnae Association meeting of the year on Monday Sept. 22nd @ 7PM, and mark your calendars for our Alumnae Weekend set for October 24th and 25th. Most importantly, I look forward to greeting all our Angels back to campus when school re-opens on September 3rd.